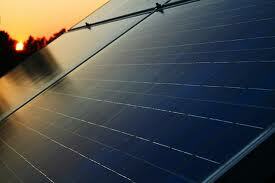 Solar Energy in India was thought to be one of the most exciting growth industries in the world. While the current state of the Indian solar panel manufacturing industry could easily be predicted a couple of years ago, it seems that the industry is facing the reality only now when their utilization rates have plummeted to 10% and most of the solar manufacturers are close to shutting down. Moser Baer which is one of the top 3 solar companies in India is already under CDR while others are not far behind given that most of the funding was through debt. The Indian solar industry does not possess any competitive advantage of scale, cost, technology etc. It has been fruitlessly trying to get some sort of import duty imposed on cheap solar panels from abroad. Even while solar panel prices have gone down by 50%, the industry has not managed to cut costs by that much. Solar plant developers are logically importing panels from China where prices are much lower and have managed to pass the benefits to the consumers through lower electricity tariffs of around Rs 8/kwh which is almost half what was offered in 2009. While the solar panel manufacturers are continuing bravely it seems more foolhardy to continue in this business given that they are hopelessly behind in every aspect. Indian solar companies are facing equally bad times, like the other solar companies around the world who are facing hard times with bankruptcies galore. The biggest and oldest solar panel companies like Moser Baer and Tata BP Solar are facing survival questions. These companies have seen departure of top executives and are looking for CDR resolutions. Moser Baer was one amongst the “first wave of thin film bankruptcies”. It was one of the first customers of Applied Materials SunFab Line. However the company had problems in ramping up its line. Recent results do not inspire any confidence in the success of its thin film venture. The company had invested hundreds of millions in investments into crystalline silicon and thin film solar is having difficulty in paying back its debt. The stock price has cratered to almost nothing as well. The company which had invested into exotic solar technologies as well as the mainstream has managed to fail everywhere. The company had even invested in a polysilicon startup as well as concentrated solar power technologies. It shut down its thin film equipment plant a year ago as Applied Materials the equipment supplier itself got out of the business. The company is now mainly into the EPC business. Other companies like Indosolar are also looking like a write-off. It is a curious paradox. Though more and more solar energy is being produced in India – installed capacity rising exponentially from just 20 megawatts (MW) in 2009 to 980 MW by April 2012 – domestic solar panel manufacturers are in the doldrums. Just a couple of years ago, they were riding high. But now they hardly get any orders. All those setting up solar power plants prefer to buy their equipment overseas, especially from China. Leading solar power equipment manufacturer Indosolar posted a loss of Rs 200 crore in 2011/12, to add to its loss of Rs 130 crore the previous financial year. Moser Baer, which moved away from making compact disks into solar cells , seeing it as the next big opportunity, is trying hard to recast a debt of Rs 3,800 crore. Tata BP Solar, Lanco Solar, HHV Solar Technologies, Jupiter Solar, WebSol Energy Systems and others are all in the same boat. Most of them have reduced production, utilizing only 10 to 25 per cent of their installed capacity. “It is crazy. We don’t know what is happening,” says S. Venkataramani, CEO, Indosolar.